One of our favorite side dishes with any meat is Potato Boats. These are super easy. I like them because of the flavor and because it allows me to put in a vegetable that we wouldn’t normally eat and the family doesn’t even know it! 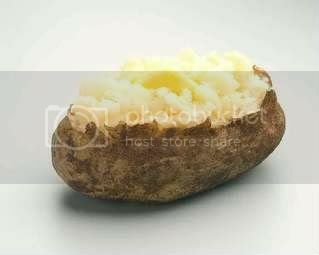 Wash your potatoes, poke them with a fork and bake them on 400 degrees for about an hour. While the potatoes are baking cut the acorn squash in half & remove the seeds. If you have a steamer that can be used on the stove use it to steam your squash. 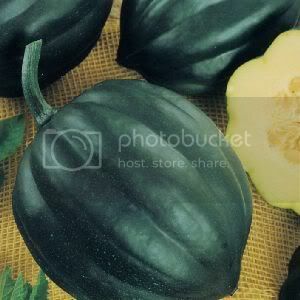 Another method would be to put your squash in a glass bowl with a little water & microwave it for 5-10 minutes. It is done when you can push a fork in the flesh easily. Scrape the squash flesh(yellowy orange part) in to a mixing bowl. Discard the skin. When the potatoes are done, cut them in half. Scrape the flesh(white part) in to the bowl with the squash & place the skins back on your baking pan. Add the butter or sour cream to your squash/potato mixture. Add salt to your taste. Mix well. Add heaping spoonfuls back to the skins of you potatoes to make your “boats.” Place the pan of boats back in the oven under the broiler for a few minutes to heat & make the tops crispy. BE CAREFUL not to scorch them! We love these with Lemon Chicken or BBQ Chicken and a salad.